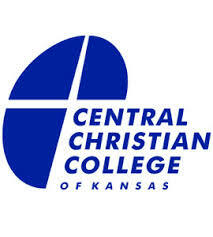 Central Christian College of Kansas is located on an attractive campus in a residential area in the south part of McPherson, Kansas. McPherson has a population of about 14,000 and is considered a progressive, attractive community. Among the recreational activities available are tennis and racquetball courts, several parks, a YMCA, a large water park, and a tournament-quality golf course. McPherson has many fine businesses in the downtown area, a hospital, clinics, a selection of offices for dental, medical, chiropractic, and optometric care, as well as other services. There are more than 35 churches in the area.Central, a four-year college, is affiliated with the Free Methodist Church of North America. While accepting and supporting the doctrines of the Free Methodist Church, Central opens its door and solicits students, regardless of handicap, religious preference, race, color, economic status, or geographic location.